Go to Amazon.com: SOMEBODY'S CHILDREN. But sometimes the court is final only in the narrow question of law before it. That question decided, it sends the case back to lower courts, where sometimes the whole process starts anew. Such is the fate of Veronica’s case. If anything, the Supreme Court’s decision has only heightened the stakes surrounding the rights of birth parents, the legal standing of adoptive parents and the sovereignty of Native American tribes. The [appeals court] hearing is apparently related to an order Friday from the Oklahoma Supreme Court, agreeing to let the appeals move forward while 4-year-old Veronica remains with her biological family for the time being. OK Supreme Court docket (revealing very little) is here. Yesterday Veronica "Ronnie" Brown turned 4. Every day I think about this case and I realize this child doesn't need to be adopted and yet the adopters won't quit. Why won't they quit? The Capobiancos feel entitled to the baby they purchased for cold hard cash. The adoption agency NIGHTLIGHT needs to be criminally prosecuted for what they did. This case was so dangerous a public relations campaign was necessary to keep the future "adoptive parents" in focus - not Ronnie or her dad. The adopters going on TV - all public relations. Talking to Dr. Phil last fall - all propaganda. The adopters plead to get her back on CNN and NBC - all trash talk and public relations. We were being manipulated by a billion dollar adoption industry. THIS ENTIRE CASE PROVES IT! The Bottom Line: no child needs to be adopted if their biological natural parent wants to raise them. In this case, Ronnie has a dad who fought from the moment he heard what was happening. The Supreme Court and Nightlight did not abide by a federal law written to protect Native Children. Ronnie has rights to be with her tribe and family. It's called sovereignty! Do you know the history of the Indian Child Welfare Act? 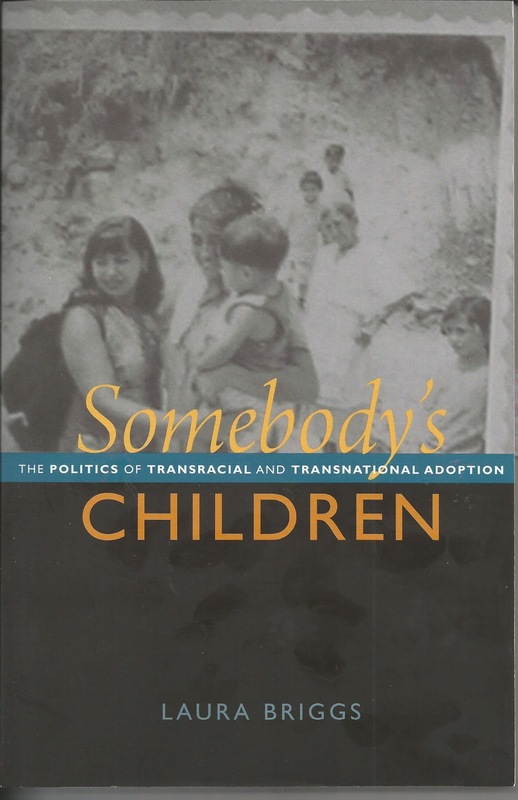 I am learning even more from this fantastic book: SOMEBODY'S CHILDREN: The Politics of Transracial and Transnational Adoption by Laura Briggs, published in 2012. I wish I'd had this book when I started my research on the Indian Adoption Projects, before I wrote my memoir. Laura and I will be on a panel discussing this Adoptive Couple v. Baby Girl case on Sept. 30 at the Western New England University School of Law in Springfield, MA. If you are interested, please email me: tracedemeyer@yahoo.com. I can send you the brochure. We must WAKE UP and not let this adoption happen to Ronnie Brown.